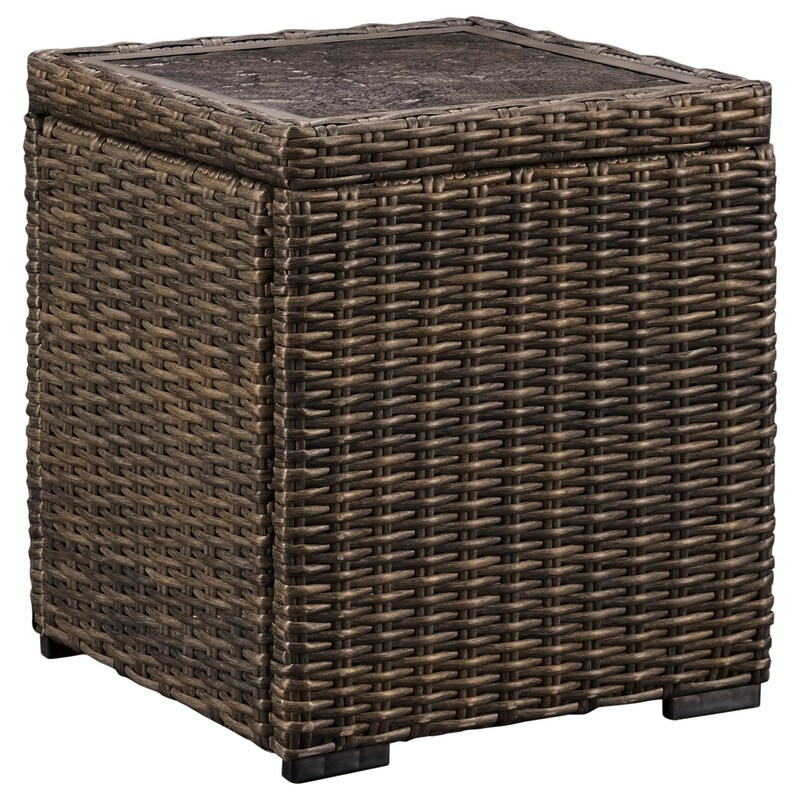 Bring the party outdoors with this square wicker end table. This all-weather piece is constructed with a rust-proof aluminum frame, and the resin wicker exterior gives it a visual appeal that easily matches with any outdoor decor. 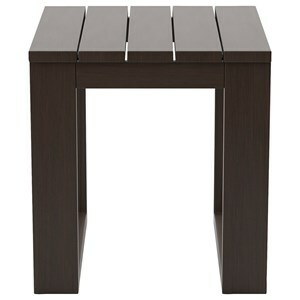 A textured fiberglass-resin table top finishes off the look, providing the perfect place to set snacks and beverages. 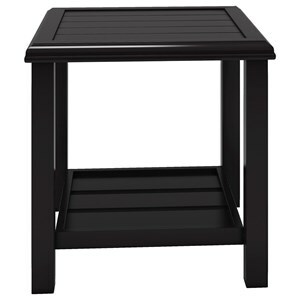 The Alta Grande Resin Wicker Square End Table by Signature Design by Ashley at Household Furniture in the El Paso & Horizon City, TX area. Product availability may vary. Contact us for the most current availability on this product.